Seasons one and two, plus four special episodes of animated pre-school show take to DVD across the territory. Silvergate Media has signed the US home entertainment distributor NCircle Entertainment as its DVD and download partner for children’s property Octonauts. 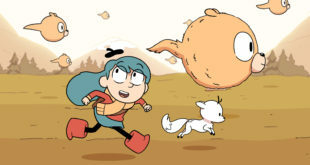 The distributor has signed the rights to seasons one and two, as well as four specials of the children’s show and will launch the DVD’s across the region in autumn/winter this year. Based on the series of books from award winning design team, Meomi, Octonauts combines action-adventure with CGI animation to explore life under the sea. 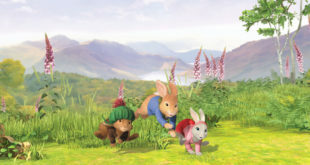 The pre-school series has sold in over 100 territories and airs to audiences in the UK on CBeebies, the US on Disney, Australia on ABC and Germany on SuperRTL, among others. Mary Durkan, CEO at Silvergate Media, said: "NCircle has a preeminent position as a home entertainment distributor in the US and we are delighted that this deal will allow Octonauts to reach an increased audience of existing and new fans of the show." Debbie Ries, SVP and general manager of NCircle Entertainment, said: "We’re thrilled to be teaming with Silvergate for the US DVD premiere of Octonauts. "NCircle’s mission is to provide ‘Entertainment That Educates’ and Octonauts fulfils that beautifully, with its emphasis on teamwork, working towards a goal, and discovery, as well as its amazing CGI depictions of undersea life." Silvergate Media holds all audio and visual worldwide licensing and merchandising rights to the Octonauts.